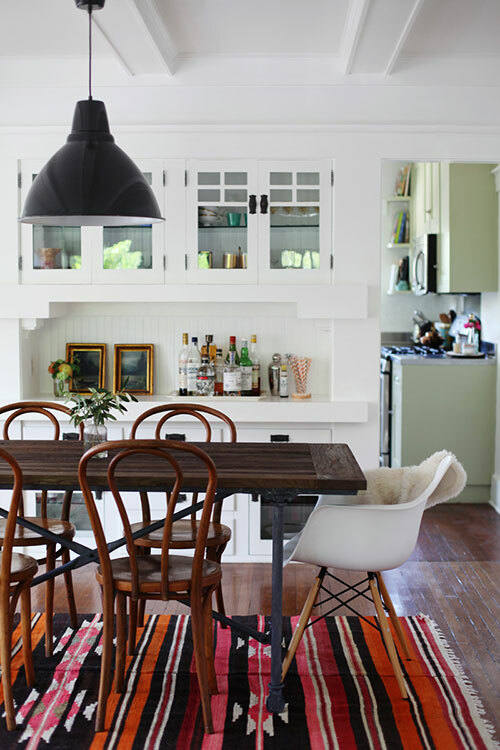 Kilim rugs are becoming increasingly popular in the design world. These beautiful Turkish rugs have been around for centuries. 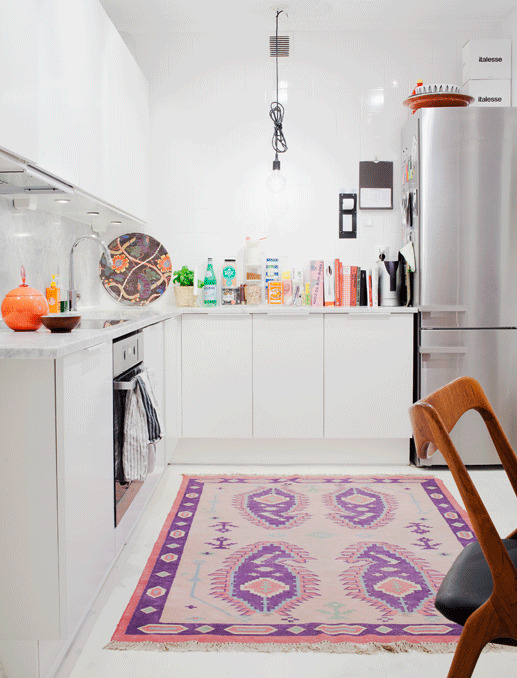 Because the tapestry-woven rugs are handmade, no two rugs are alike and come in a variety of sizes. With their vibrant colors and killer geometric designs, they add a pop of color and interest to any room. Not to mention, they are versatile and can work with just about any design style. They also look great layered, as shown below. If you would like to get your own unique Kilim, Etsy and Ebay are great resources with hundreds to choose from.